As a big (big) fan of Koei Tecmo's Nioh, over the past year or so, I've become quite fascinated with the central character in that game - William Adams, or "Samurai Bill", as I like to refer to him. Nioh is only very loosely based on the real Adams' life and experience, but the real story has turned out to be just as fascinating, as I've discovered by the books and histories on him that I've read. The first white samurai, and a foreigner who managed to become incredibly wealthy and powerful at a time of hostility towards foreigners within Japan, the fact he achieved all that after being a near-starved survivor of a failed exploration naval expedition is the very definition of a rags-to-riches story. I'm going to do a video on Adams' story at some point down the track when I get back from Japan. Today, instead, I wanted to do a short article on what a trip to Adams' memorial is like. Because I visited that, and really loved the experience. Adams' memorial is maintained in Tsukayama Prefectural Park (Yokosuka), and straight up, from a visual perspective the best time to go (and the reason the park is well loved by the locals) is the sakura blossom season. But putting that aside (because it is difficult to 'time' a trip with the incredibly short blossom season, and I wasn't there during that time myself), it's still a gorgeous - and relatively quiet - park, and there's a great sense of history to it. 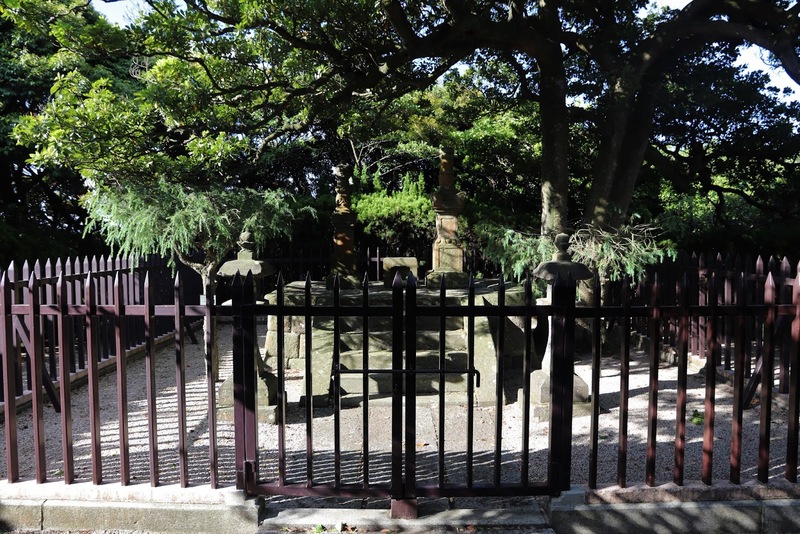 It's interesting to reflect on the history not just for the presence of the memorial, but the reason that the memorial is there in the first place; this was the land that the shogun, Ieyasu Tokugawa, granted to Adams when he became a samurai. And then you look at the view and realise that Tokugawa must have really, really liked and valued Adams. The bit of land that he was granted only included this park (there was a lot more than it in reality), and the view is nothing short of spectacular. From the lookouts at the high points in the park you'll get a stunning look down at the ocean and Yokosuka Harbour, Tokyo Bay and the Bosos Peninsula. Even back in the early part of Tokugawa's rule, that land would have held significant commercial and political value, being close to major trade routes and political centres. Including Edo - Tokyo - itself. If you look into the history behind the city, and its original name (Hemi), you can trace how important it was to the most important people in Japan - it was owned, fought over, and gifted around by the likes of the Hojo clan, Hideyoshi Toyotomi and Tokugawa himself before being finally transferred to Adams. The park itself is an easy walk, and a good opportunity to see various flowers in most seasons, as well as a number of native Japanese birds. There's a few really good lookout points, including some perfect early morning photo opportunities, though some power wires and trees in badly need of a trim let that down a little. 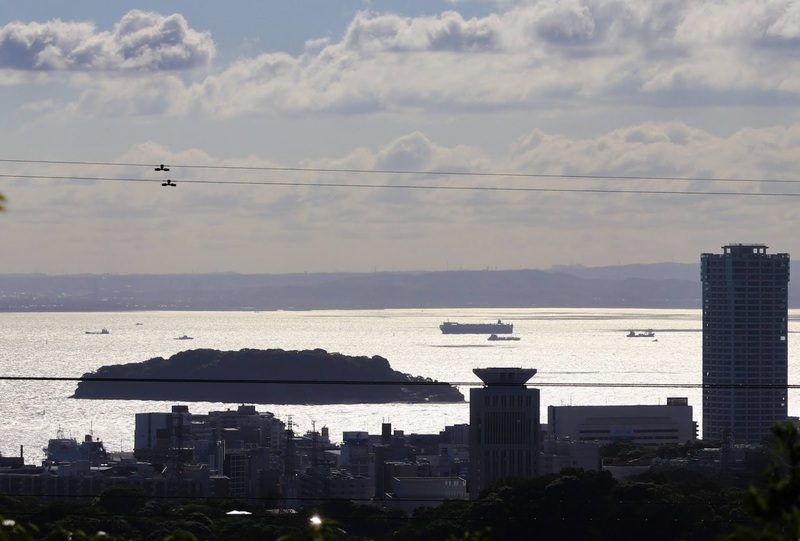 Unfortunately I can't say that I'm a big fan of the nearby city of Yokosuka itself. These days, Yokosuka is heavily sustained by the military; it houses the main American military base in Tokyo, and in addition to the eyesore that is military boats and structures, an American base also means the city has a huge American population, and where a lot of Americans come, the locals adjust their businesses to appeal to that clientele. Admittedly I didn't spend long in the city itself, (it wasn't much more than a drive through), but it's perhaps the least "Japanese" part of Japan that I've encountered. People who like heavily westernised or "sanitised" to western tastes food will probably find Yokosuka's food culture to be quite appealing though. 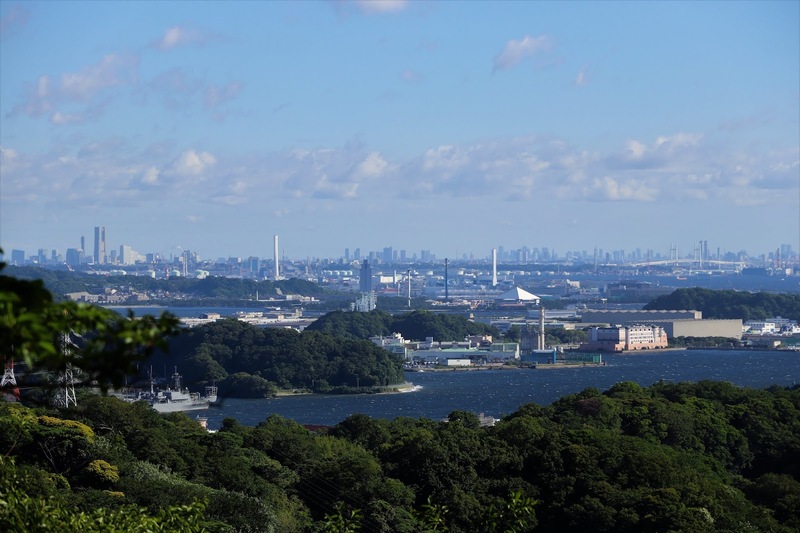 But the beautiful of Japan - especially Tokyo and its satellite cities like Yokosuka, is that you don't need to dedicate your entire day to a city if you're keen on seeing one particular sight. I was able to see the Samurai Bill monument and get a sense of his role in Japan's history by visiting the park.. and then I was off to the far more appealing city of Odawara for food and further sightseeing. If you can, I recommend hiring a car for that trip. You can follow the coastline, passing through the likes of Hayama and Enoshima, and drink in the beachside atmosphere, as you go. If you do need to train ride your way into Tsukayama Prefectural Park, then it's only a 20-minute walk from Anjinzuka Station on the Keikyu line. Just be aware that the walk isn't brutal, but it is up hills.